Tech is not for everyone, I’ve been pretty clear about that. There are no magic classes on or off-line that will teach you all you need to know in a short amount of time, and also happen to be insanely easy. It takes time to learn how to program and to do it well. It’s not something you can master in 3 weeks like many promise. Programming isn’t all that difficult but it is difficult to do well. 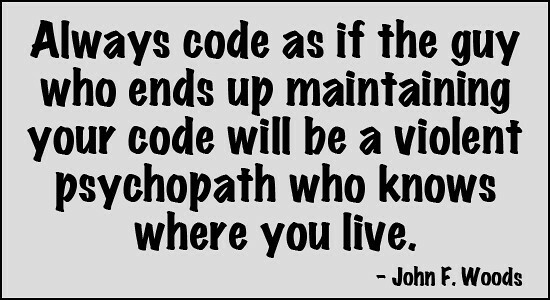 You don’t want to be one of those people contributing garbage code that other programmers will wish you dead over once you leave a project. Right now I’m going over the basics of Python with the free online class offered by Codecademy. After going through the basics I’m going to use that information to write a program that will solve a problem I have interest in. Learning is much easier when you try and tackle things that interest you. Boredom is the enemy of all learning. Codecademy’s set up is very beginner friendly. Within the browser is a text area where they will have you type in code, next to that on the left is the interpreter. This allows you to jump right into learning without having to download any programs or needing to open up a command line. Down the road you’ll want your own editor and you’ll need a terminal. The first section I’ve gone through covers Python Syntax. Parts of the syntax are variables, data types, white space, comments, and arithmetic operations. It is the most basic parts of Python of which you will build from. I found all the lessons to be fairly easy. This was not mindless work, which is good because you need to really think about what you are doing to program. Technology isn’t just pushing buttons. It’s also not a source of easy money, and I will stress that as long as all these for profit schools are pushing the opposing view. Remember they don’t care how well you code, they only care that you pay for your education. One of the things you should be doing is making a list of problems you’d like to tackle with your new programming skills. When we get to that point where a project can be started, I’ll explain what GitHub is, but I’m getting ahead of myself. This is exciting, this is the first step to learning how to program. Previous Post Snakes. Why’d it have to be snakes? Next Post Always look on the bright side of life.